You may have already heard that Lima is often touted as the culinary capital of South America. Visitors are truly spoiled for choice when it comes to excellent restaurants in Lima. These are a few of our top picks, which we think you should consider including in your Peru luxury tour. You even might find these restaurants have you planning a return trip to Lima for another unforgettable meal. 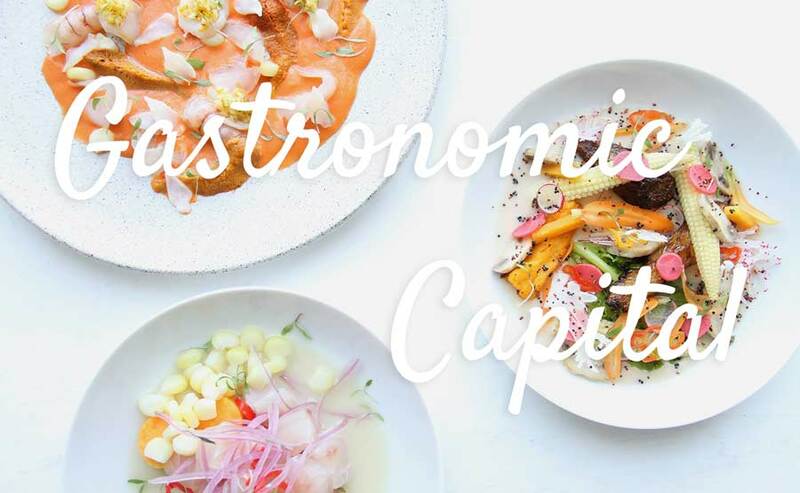 Gaston Acurio is Peru’s unofficial worldwide culinary ambassador, with his flagship restaurant, Astrid y Gaston, ranked on San Pellegrino’s list of the World’s 50 Best Restaurants for the last three consecutive years. Developed alongside his wife, Astrid, Astrid y Gaston recently moved from Miraflores to the historic Casa Moreyra mansion in Lima’s ritzy San Isidro neighborhood. The restaurant’s imaginative menu changes every six months, with each dish presented as an exquisite combination of colors, flavors and textures. You can bring your own wine to enjoy with the meal (corkage is free), or let the restaurant’s wine sommelier make a recommendation for you. Astrid & Gaston has also won best wine list of Peru at the Summum awards for the last three consecutive years! Be sure to make reservations well in advance. If any restaurant in the city rivals Astrid y Gaston, it’s Virgilio Martinez’s Central restaurant. 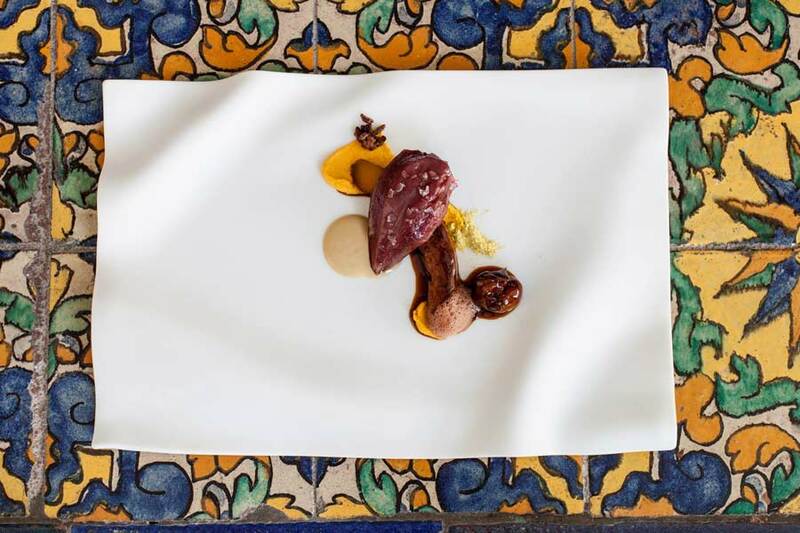 Chef Martínez has achieved worldwide fame over the past few years, contributing greatly to Lima’s recognition as a leading gastronomic destination. His restaurant was chosen as San Pellegrino’s Best Restaurant in Latin America and the fourth best in the world for 2015. Central’s avant-garde menu takes luxury travel in Peru to a new level of excellence. Using local ingredients gathered from sources ranging from 14,500-foot (4,420 meter) high mountains to places 100 feet (30 meters) below sea level, Martínez’s menu highlights the abundance and exotic variety of Peru’s natural ingredients. Rafael is headed by Rafael Osterling, another highly-praised local chef. Set in a gorgeous Art Deco townhouse in the chic Miraflores neighborhood, Rafael offers a chance to dine among Lima’s trendiest crowds. The menu is a celebration of Peru’s eclectic food culture, fusing traditional ingredients with Italian and Asian influences. The grilled octopus with pimento chimichurri, Kalamata olives and garlic confit is among the stand-out dishes. Pizza, sashimi, ceviche and tiraditos all make appearances on the menu in various forms. Looking for an authentic Peruvian culinary experience? Check out Rafael. With its coastal setting, it’s no surprise that Lima is seafood lover’s paradise. Combine this fresh seafood with the talents of the many Japanese chefs that have immigrated to the city over the years, and the result is countless excellent sushi restaurants. One of the city’s best sushi restaurants is Maido in Miraflores. Saqra takes its name from a Quechua word meaning “naughty” or “the devil.” It’s also the name of a character from Andean folklore who is celebrated a Cusco’s annual Paucartambo Festival. For the restaurant, this concept has been reinterpreted to describe the playful, inner child that many of us have lost touch with. Saqra is the part of us that feels compelled to do something a bit mischievous sometimes. As you might expect, the restaurant therefore exudes a more whimsical and low-key ambiance than some of the city’s other top restaurants. Saqra may not be as well known as other restaurants on this list, but its food is both delicious and delightful. The menu includes variations on classic Peruvian dishes, along with some completely new dishes of the restaurant’s own invention. The cuisine alone is reason enough to begin planning your luxury Peru holiday. Contact one of our travel designers now to get started. *Photos provided were taken and are owned by each respective establishment.